We are excited that you have taken time to visit us today. Since 1988, we have proudly served residential and commercial clients in the Raleigh area offering outstanding landscape, horticultural and hardscape services at competitive rates. We have partnered with the most reputable nurseries and suppliers and only use the highest quality material in every aspect of service. Our mission is to provide extraordinary service while bringing your outdoor dreams to reality. Browse our site to learn more about our Raleigh NC Landscaping and Wake Forest Landscape services. At Outdoor Pros we are dedicated to conservation and responsible use of our natural resources. Our team of professionals are trained in the latest green techniques and we recycle surplus material whenever possible. As an Outdoor Pros client we guarantee your total satisfaction. Take a few moments, browse through our site and let us know what we can help you with today. 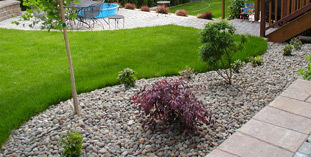 At Outdoor Pros we have provided top quality turf care for 25 years. 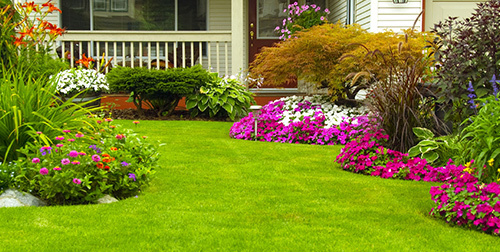 Our lawns are consistently the healthiest and best looking lawns in the neighborhoods we service. Until now, this valuable service was only available to our full service landscape clients.